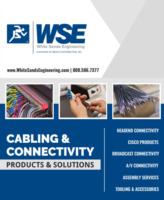 White Sands Engineering, a division of WESCO Distribution, Inc., is known as a leader in the connectivity industry with their ability to design and manufacture custom connectors, cables, panels and assemblies for the broadband, satellite, broadcast, telco, military and solar industries. While WSE stocks frequently used products, the knowledgeable engineering design team can help with design, sourcing materials and packaging of any custom assembly or kit needs you may have. 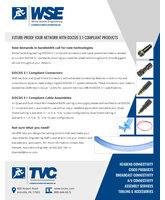 Whether you use copper or fiber, WSE has the connectors, panels and assemblies to meet your connectivity needs.